Welcome to the ROSE AVENUE FAMILY MEDICAL GROUP Website! Dr. Ford joined the practice in 1994. He went to medical school at UC Irvine, did his residency in Family Medicine at Ventura County Medical Center and received his Masters in Public Health at UC Berkeley. He is certified by the American Board of Family Medicine and does speak Spanish as a second language. Dr. Ford has traveled extensively and done medical work in Sierra Leone, Brazil, Mexico, Solomon Islands, and Western Samoa. 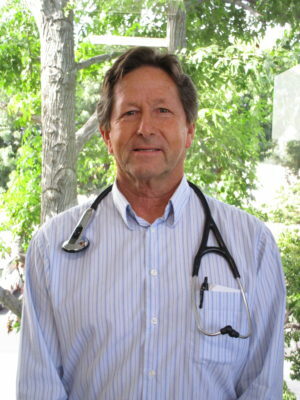 His wife is a family physician at UCSB and they have two teenage boys and a golden retriever. Dr. Ford is also the Medical Director of Quality Management at St. Johns Regional Medical Center and St. Johns Pleasant Valley Hospital and the Chair of the Quality Improvement Committee at SeaView IPA. He is an avid surfer.